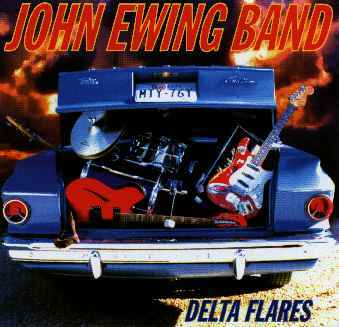 John Ewing - a Texas born rock 'n' roll singer/guitarist and solid frontman who chooses his words very carefully. Steve Brantseg - a wildass Minneapolis guitarist and showman best known for stints with Black Spot, Curtiss A and Bash & Pop. Tom Cook - versatile and wildly enthusiastic pounder of the skins for many a Minneapolis outfit both great and small. Most notably the Magnolias. Johnny O'Halloran - arrived from Boston sporting a fine haircut, breathtaking scissor kicks and slamming the bass guitar for The Magnolias. He now rounds out this zesty blend of U.K. and American music. Mix well, heat and enjoy! Serves millions! Released by the Twin/Tone Records Group - February 13, 1996. It is "out of print."